Townsend Orchard restoration Formerly known as Fowler's Cottage and The Nursery, the house, garden and Nursery cover 2 acres. Its origin is not known; but on the evidence of the shape of the associated orchard (The Nursery), a dwelling of some kind was erected on the present site when the Tytherington Open Field was enclosed, though the date is not known. The first known documentary evidence is in Tithe Award 1839, but the nucleus of the present building is probably 18th century. In the Tithe Award, the owner was John Smith (farming from Malt Farm), and the occupier, Edward Brown. John Smith, in his will, stated that he had bought the 'House and Nursery' from 'John Smith's family' — i.e. his cousins at Bishop's Farm (who had suffered several early deaths in the succession). 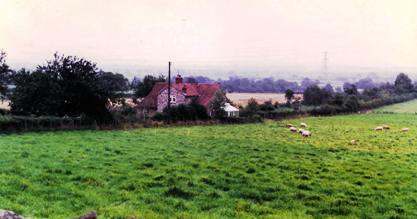 He retained the property up to his death, leaving it to his youngest son, Richard Hobbs Smith, who, under the terms of the will, acquired Pendick's Farm, also. 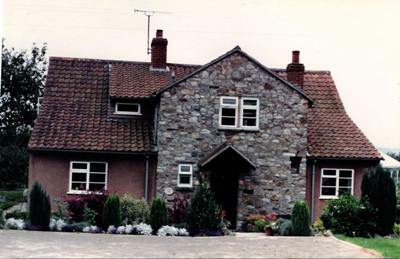 Living at this time at Tockington Park Farm, he later bought and lived at The Exchange Hotel in Thornbury. On his death in 1920, the property was sold to Edward Richard Andrews (of Hope Farm) at auction for £655. Andrews died in 1934, his widow in 1942; the then tenant, Charlie Fowler, bought the property but, for financial reasons, had to sell it almost at once. Bought by Harry Blanch (tenant at Hawkins's) it was left on his death in 1961 to a nephew who, on the death of the sitting tenant (Fowler) in 1978, sold The Nursery at auction to Peter and Jean Grudgings, who carried out an extensive renovation and improvement of the property, which had little in the way of modern facilities. 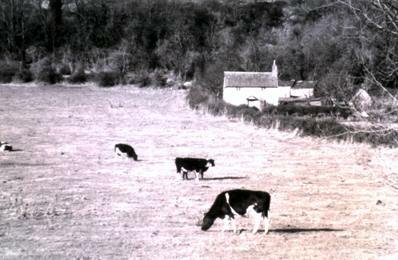 Before 1839 to Edward Brown, agricultural labourer, with a young family He moved before 1850 to Bishop's Farm. 1861 (Census) George Cullimore, agricultural labourer, recently married. 1871 (Census) Aaron Hunt, agricultural labourer with 2 children, and a lodger engaged on building the railway. c. 1914 - 1920 Herbert Welch, 'Fruit grower' (Kelly). 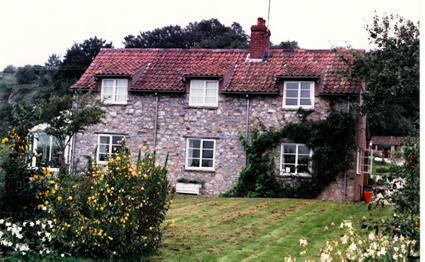 In 1920, Herbert Welch bought Summerleaze, where his father lived, and moved there to help run the farm.